Dried orange peel toasted and then coated with a bit of sugar makes a good mouth freshener. 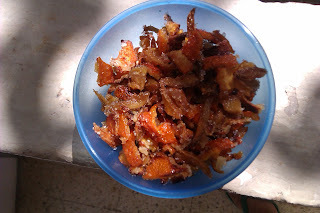 Cut the peel in strips, remove pith, dry the orange peel in the sun. Toast them in a non stick pan. Sprinkle with powdered sugar and toast a bit more. Let cool, store in airtight container. Try making a similar one with ginger.